Can we all just agree that moving is the absolute worst? It only takes one or two rounds of packing, unpacking, and starting all over again in a new area to understand how difficult it can be! As a matter of fact, research indicates that moving is more stressful than a relationship breakdown, divorce, or even a new job. That is HUGE! If you’re a small business owner who has or is getting ready to move, you’re probably feeling the effects of stress and anxiety ten times over. When your local network and reputation is everything, the idea of relocating your wedding photography business can be downright scary! But what if I told you that this doesn’t have to be the case? As a Dallas wedding photographer, I average between 30-40 weddings each year and have shot domestically and internationally. In 2015, my family and I were living in South Carolina where I began and successfully grew my business in a ripe market. Due to some significant changes happening in our lives, we agreed that it was time to move back to Texas where both of our families resided. On top of the stress of moving, I was also pregnant with our son, Lincoln – talk about crazy! After our move, I finished out the remaining weddings I had in South Carolina and got very familiar with the Dallas and Atlanta airports. In February 2016, our baby boy arrived and I took a two-month maternity leave. That same year, I shot five weddings in Texas. The next, I shot 26. This year will be my busiest year yet with almost 45 weddings by calendar year end. I say this not to brag, but rather to provide some hope – it is absolutely possible to re-establish and grow your business in the midst of relocation. It’s scary and can be totally fear-inducing – I get it! But for now, take a deep breath and try your best to calm those nerves! Moving your business might seem daunting, but it is possible and may actually prove to be profitable in the long run. Today, I am going to show you how to successfully relocate your wedding photography business! The first step you need to take is to update your online marketing. Obviously, your website copy will need to reflect your new target market area. You’ll also want to update your Google Business listing, Facebook, and other social media and advertising platforms to show that you’re a wedding photographer in whichever city to which you’ve moved. This is a whole topic unto itself, but SEO will be your best friend as you begin shifting gears into your new market. If you don’t know anything about current SEO trends, begin learning as much as you possibly can. Work on your on-page SEO by optimizing your page titles and image tags. And of course, start blogging with relevant content about your move to your new location. You might not have sessions or weddings in your new city, but you can certainly share your personal experiences as you move! What a great opportunity to connect with your readers on a relatable level! When it comes to off-page SEO, I highly recommend hiring someone reputable to optimize your local citations to match your new city. There are hundreds of places online that list your business, and you don’t want to leave these untouched. These listings all need to reflect your new market, as well. One of your biggest allies will be all of the reviews you’ve collected while in business! 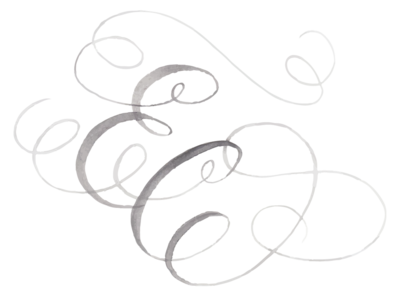 I’m talking about The Knot, Wedding Wire, and Google Business – all of these and more. These carry power with you no matter where you go! If you haven’t reached out to past couples to ask for reviews, do so NOW. Don’t be afraid! Let them know that you are relocating and that their reviews will be a huge part of the success of your business in your new area. When we were in the early stages of moving, one of the first things I did was join a few local Dallas photography and wedding industry Facebook groups. This played a vital role in my success as a Dallas wedding photographer. Making a point to get connected allows you to get to know other photographers and vendors, and learn “who’s who” in your new market. This also gives you the opportunity to understand the climate of the wedding market before you dive in. And on a personal note, many wedding industry communities host meet ups, which help to build a sense of community so that you won’t feel quite as lonely! One disclaimer – don’t feel discouraged if you are denied access to local groups before you actually move. Oftentimes, admins and moderators won’t yet approve your request as a measure to maintain the integrity of a local industry group. This is normal, so just try to be patient. Moving from South Carolina to Texas, I noticed that the wedding photography market was vastly different, but I let that inform me rather than discourage me. Be prepared to find that your target demographic in your new city may necessarily look different than that in your former city. Geographic changes reflect different styles and trends, and while you will want to stay true to your artistic style and approach, you will need to understand what consumers are buying in your new market. The great thing about second shooting is that you’re able to pick up some new tricks and techniques through observation, but you also have the opportunity to make a positive impression on some of these better known photographers and vendors. This gives you the potential to earn their trust, friendship, and possibly their referrals for dates they might be booked! If you are cleared to do so, you can also blog the images you take from weddings you second shoot. Make absolutely sure that the lead photographer is okay with this, as you definitely don’t want to burn any bridges. Find and attend local industry mixers such as grand openings and open houses. You can usually find these through Facebook groups and business pages. Also, don’t be afraid to hit the concrete and introduce yourself to other businesses such as venues, bakeries, and dress shops! • Contact local planners and offer to do complimentary headshots. Planners will love that you are contacting them from a perspective of what you can do for them rather than the other way around! In addition to serving them and initiating a relationship, you could also blog about the headshot session and ask if you could interview that planner for your blog! • Organize a styled wedding shoot. I actually prefer to call these “networking shoots”! Styled shoots are a great way to connect with local vendors while adding to your portfolio. You can also submit the final shoot to wedding blogs so that everyone benefits from SEO building! • Host a giveaway. In each market I’ve worked in, I hosted a giveaway as a marketing strategy. In South Carolina, I gave away two engagement sessions. In Texas, I pulled out all the stops and gave away an entire wedding package. In both instances, I was able to attract buzz around my business and booked five or more weddings as a result. The key to making this work is to create entry guidelines, promote as much as possible, and establish a way to collect names and emails so that you can follow up with those who enter. I can’t stress the last part enough – following up is absolutely crucial! Become an expert at creative marketing strategies that no one else is attempting. This way, you’ll set yourself apart from other wedding photographers in your area in no time! It can be easy to look at the move ahead and become frozen and overwhelmed with fear. However, I want to encourage you to try your best to shift your perspective and look at your relocation as an opportunity to start fresh. Challenge yourself to try new marketing strategies, or maybe even consider a rebrand. Lastly, and most importantly, give yourself grace as well as the room to make mistakes. Don’t beat yourself up if it takes longer to build your business than you originally expected. This could be the perfect opportunity to shift your perspective and approach in the midst of the stress that comes with moving. So, deep breath. Slow down. You’re going to be okay, and you’re going to rock it as your city’s newest wedding photographer! “How to Relocate your Wedding Photography Business” was originally written for and shared as a guest article on Tiffinbox.